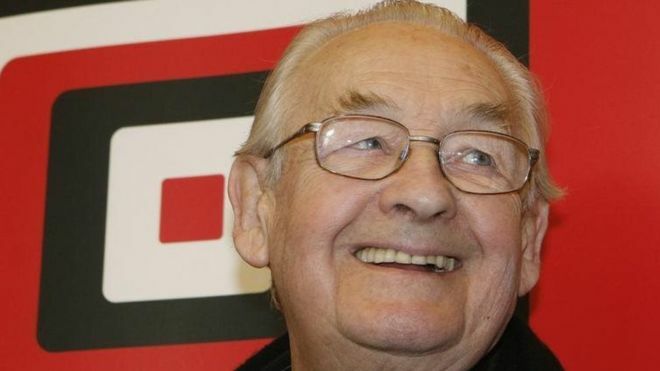 Andrzej Wajda, the Oscar and Palme d'Or-winning director, a true icon of Polish contemporary cinema, has died at 90. His early years were synonymous with Poland’s tragic 20th-century history. His father was executed during the massacre of Polish army officers at Katyń perpetrated by the Soviet Union in 1940. Orphaned, Wajda decided to join the underground resistance movement and went to war against Nazi Germany and the Soviet Union. When World War II ended, he was only 19 and forced to start his adult life in a country ruled by a quasi-totalitarian and Soviet-imposed communist regime, which didn’t fall until he was 63. From this background, it may seem unsurprising that the majority of Andrzej Wajda’s films relate to the history of Poland. At the same time, they skilfully managed to touch upon universal topics, such as the difficulty of moral choices under a non-democratic regime, or the burden of post-war trauma and chaos. This is why, from the over 40 feature films he directed throughout his 60-year career, his most memorable works are his WWII trilogy – “A Generation” (1954), ”Canal” (1956) and ”Ashes and Diamonds” (1958) – and two politically-engaged films he only made thanks to a short, temporary thaw in censorship at the turn of 1970s: ”Man of Marble”(1976) and “Man of Iron”(1981). For his works, Andrzej Wajda received praise and recognition all over the world. Movies such as “The Promised Land”(1975), “The Maids of Wilko” (1979), “Man of Iron”(1981), and “Katyń” (2007) earned him Oscar nominations for best foreign language films. Eventually he was awarded the Academy Honorary Award in 2000 to wide acclaim from the Hollywood filmmakers’ society. The day of the Palme was a very important day in my life, of course. But I was aware that this prize wasn’t just for me. It was also a prize for the Solidarity union. In 2016, Wajda had just finished his latest movie “Afterimage”, another that touches on important socio-political issues. This biopic about painter Władysław Strzemiński, an artist who defied the communist regime’s censorship and fought for freedom of artistic expression, is Andrzej Wajda’s warning to politicians that any kind of censorship or dictating what is art and what is not, can do nothing but harm. The movie was chosen as Poland’s official entry for an Oscar in the Best Foreign Language Film category.